With the official departure of Taylor Swift from the genre, country music is eager to find replacement star power. Pittsburgh’s annual Girls with Guitars show is proving to be a nebula. This year’s crop of artists featured former “The Voice” contestants (one winner), a television star and some local flair. Texas cutie Rae Lynn could replace Hayden Panettiere on ABC’s Nashville and the show would not miss a beat. The 20-year-old featured some youthful angst on “Boyfriend” and didn’t have to work too hard on her signature “God Made Girls.” Female audience members took on both choruses in their entirety. For such a youthful performer, she features a good deal of old school western swing. 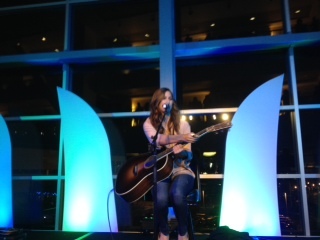 It is amazing that season Three “”The Voice” winner Cassadee Pope is permitted to sing indoors. The petite powerhouse’s voice has challenged the structural integrity of venues ranging from outdoor amphitheaters to this venue. She spent little of the set in her lower register and opted for a crystal clear full voice beat down on songs like “I Wish I Could Break Your Heart” “Everybody Sings” and, of course, her career maker, “Wasting All These Tears.” She took a moment to tell the crowd that her grandfather still races cars a nearby Lernerville speedway. Each artist sang out in front of their respective band’s guitarists. Pope was tastefully perched on a stool seeming more like a coffee-house songwriter rather than the star she has become. Her diminutive stature belies the power of her voice. Red hot duo Maddie & Tae were enthusiastically received from three stories up in the suite level. The teens are on an all-out media campaign to promote their hit and this evening’s show stopper, “Girl In a Country Song.” They have been on the late night talk show loop for weeks garnering critical acclaim with their combination of youthfulness and songwriting talent. They proved artful comediennes while introducing “Sierra,” a song about the stuck up schoolgirl that no one likes. Maddie Marlow looked particularly convincing wielding a left handed acoustic. 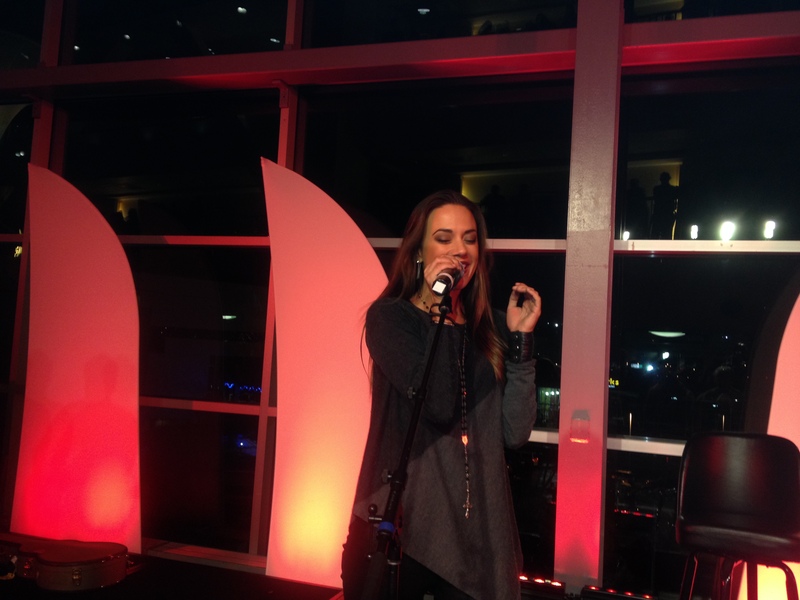 Former One Tree Hill star Jana Kramer has star presence worthy of an arena show and a musical following equivalent to her television popularity. 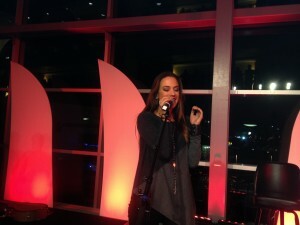 She was able to squeeze in five songs off of her 2012 self-titled effort. 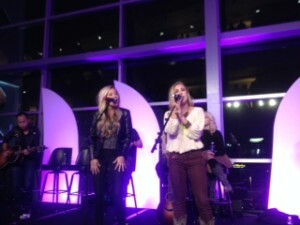 Ironically, one of the highlights, “Boomerang” was written by earlier performers Maddie & Tae. Ditto with local band, The Hobbs sisters. The recent high school graduates made the most of their time by showcasing their silky harmony on a cover of Kelly Clarkson and Reba McEntire’s “Because Of You” bookended by a few originals.